Dyno testing this special Alfa Romeo Grand Prix engine was a treat and a real privilege. 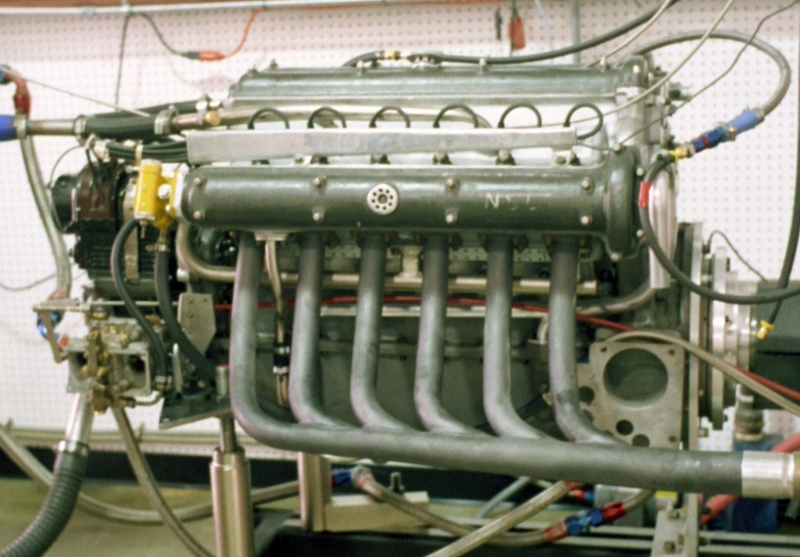 The Vittorio Jano-designed 12-cylinder, twin-supercharged 4.5-liter engine was reputed to make 430-hp at 5,800-rpm. 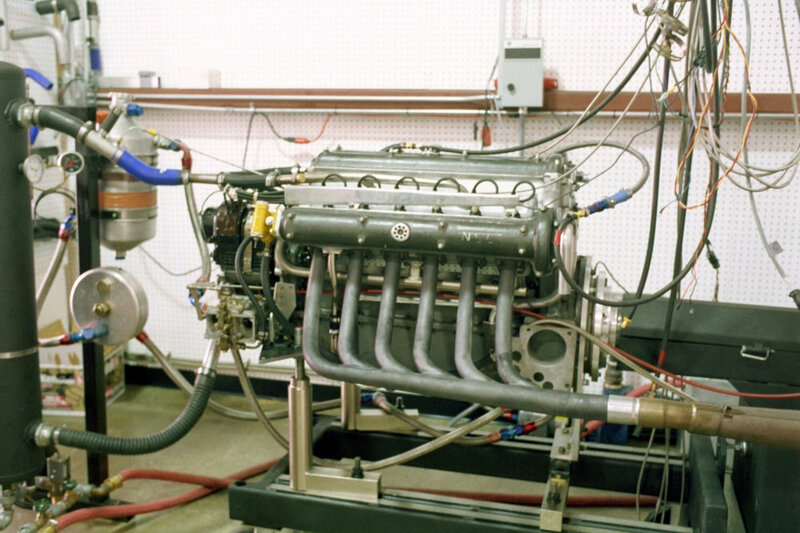 We limited the rpm on the dyno to 5,000 to ensure that this rare engine was not damaged during testing. Judging by the power curve, it could well make the stated horsepower if allowed to run at higher rpms. 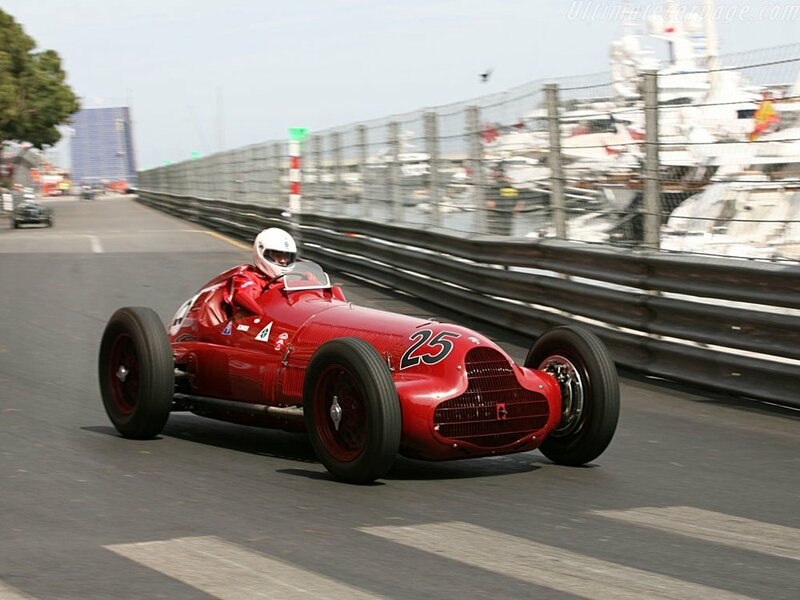 As it was, the torque of the engine would spin the rear wheels in all the gears during track testing! We did need to re-jet the carbs for best power because the motor ran on alcohol fuel. But other than setting the timing, no additional adjustments were necessary. The car won its first vintage race at Laguna Seca in 2007 and was spectacular to watch. The top speed on this 1,782-lb car was over 190-mph.